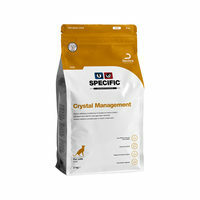 Proper nutrition is vital to your pet's well being. 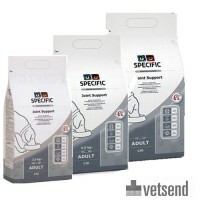 Specific Dog Food and Specific Cat Food are one the world's most famous, providing pets with high quality dry and wet food. 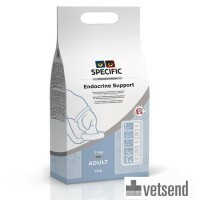 In addition to everyday food, the brand's range also includes special care food designed to address individual issues and improve your pet's overall health. The Specific brand was established in England in 1997. It is steeped in history and tradition, harking all the way back to the first half of the 19th century when the company was still known as Arnolds & Son and manufactured prosthetic limbs. 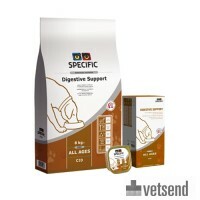 Specific differs from other brands of dog and cat food in that it offers a large variety of special care diets. Dogs and cats are growing increasingly sensitive to outward influences and often suffer from a whole host of health issues. Pets spend a major part of their lives indoors, making them prone to weight gain. 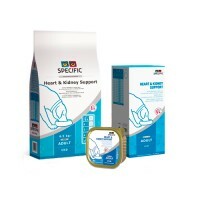 Specific seeks to address these issues by providing your dog or cat with a range of balanced pet food. The debate about the best type of pet food shows no sign of abating. 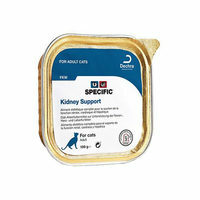 While some owners swear by dry food (also known as kibble), others prefer to feed their pets wet food or a mix of both. The general consensus is that there is no general consensus: that's to say it's perfectly fine to feed your cat or dog both wet and dry food. Kibble, however, is more economical and can be stored for a very long time even after it has been opened. Wet food, on the other hand, should be consumed within 2-3 days after opening. This makes it a less appealing alternative to pet owners. How much and how often should I feed my dog or cat? 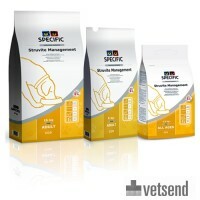 The makers of Specific pet food recommend feeding your pet at least twice a day. If your pet is at a healthy weight, you should make sure it doesn't lose or gain weight. If you observe fluctuations in your cat or dog's weight, adjust the amount of food accordingly. Before putting your pet on a weight loss diet, you should check the feeding guidelines and consult with your vet about the appropriate feeding amount. Just like humans, cats and dogs have different nutritional needs at different stages in their lives. While puppy and Kitten Food is jam-packed with calories, proteins and omega-3 fatty acids, food for senior pets tends to be lower in calories. 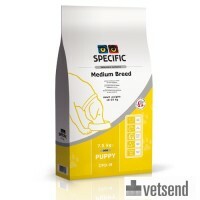 While some puppy food is suitable for all breeds, Specific's range also includes Puppy Food that has been specially developed for medium, large and giant breeds. Senior felines have a reputation for being fussy eaters. If your cat is notoriously hard to please, consider making small steps and introducing the new food little by little. This can be achieved by mixing some of your cat's new food into their regular food to get them used to the taste. Treats are a big part of a dog's daily life and can be used to reward good behaviour and to teach your pooch new tricks. 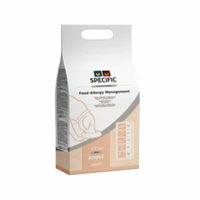 Specific's selection of dog treats features tasty morsels that are high in protein and low in fat, making them the perfect snack after a long walk. Explore the Specific range of cat and dog food today and choose the best food for your prancing pooch or your meowing moggy.